The Browns visit the Kansas City Chiefs on Sunday, continuing a series that began in 1971, one year after the merger between the National and American football leagues was completed. That Nov. 14, the Browns lost at KC, 13-7. The series is tied, with each team winning 11 games and two games ending in ties. The Browns are 3-4 against the Chiefs since re-joining the NFL in 1999. 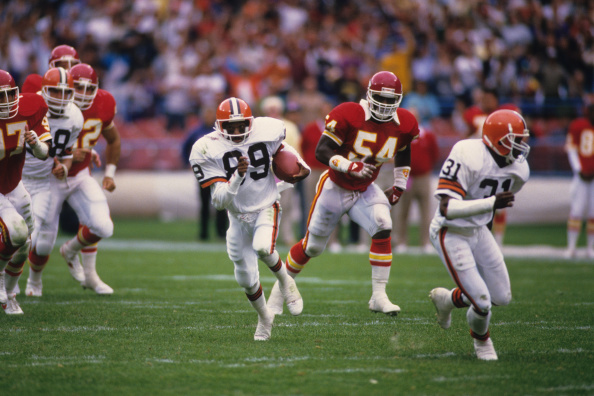 Following are the Browns’ five most memorable wins over Kansas City. Not included, but getting honorable mention, are two wins for the post-1999 Browns: (1) a 31-28 triumph at Cleveland on Dec. 3, 2006, when the Browns (who finished the season 4-12) rallied to tie the game at 28-28 on two fourth-quarter touchdown passes from Derek Anderson to Steve Heiden, before Phil Dawson’s 33-yard game-winning field goal in overtime; (2) a 41-34 victory at Kansas City on Dec. 20, 2009, when Jerome Harrison posted the third-highest single-game rushing total in NFL history, gaining 286 yards on 34 carries with three touchdowns, including the 28-yard game-winner. Those Browns finished 4-12.